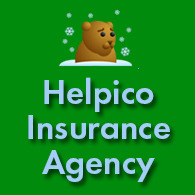 As representative of Helpico insurance agency I can say that here, we (me in collaboration with other specialists) are committed to work for you and we truly believe that you can be properly represented only from independent professionals in the link with general agents, insurance companies, brokers, public adjusters, restoration companies, accountants and other consulting specialists. Our attention is deeply concentrated on every one of your insurance needs. As agency, we strive to deliver our best service. We expect your pro activeness to be able to build mutually successful financial future.